For sure you love your Yorkie. You want to give your Yorkie the best care possible. One way of doing your best is giving the best dog food for Yorkies. Of all the dog food for Yorkie in the market how will you choose the best? Yorkie or Yorkshire terrier breed is a small dog breed with a good amount of hair. Your Yorkshire terrier have no undercoat. They don’t shed like other long haired dog breed and categorized as hypoallergenic dogs. It is important for you to maintain your dog’s beautiful coat and skin. This is possible through a healthy diet specifically designed for a Yorkshire terrier. These dog food are what we think are the best dog food for your Yorkie. What Does Your Yorkie Needs? How do we know that the dog food you feed your Yorkie has the right amount of nutrients? What nutrients does your Yorkie needs? Will the dog food you feed it now fulfil your dog’s needs? What dog food will fulfil your Yorkie? The first nutrient that we will discuss is Protein. To maintain its health your dog need proteins. Proteins are made of amino acids that your Yorkie needs. There are 10 amino acids that are essential for your dog. These amino acids are arginine, histidine, isoleucine, leucine, lysine, methionine, phenylalanine, threonine, tryptophan, and valine. These essential amino acids can be sourced only by your Yorkie from the protein that is present in the food. Dogs are omnivores and are not strict meat eaters. Proteins in your Yorkie’s food can be sourced from plants and animals. If you have an adult Yorkie it need at least 18% protein in its food. If you have Yorkie puppies or lactating mother they need more protein. At least 22.5% of the dog food should be protein. Yorkies also love the flavour of meat. To maintain your dog’s normal activities daily your Yorkshire terrier need energy. Energy in your Yorkie’s food is usually measured in calories. Carbohydrates in your dog’s food are the best source of calories. The carbohydrates in your Yorkie’s food are commonly sourced from cereals, legumes and other plant foodstuff. Adult Yorkshire terrier needs around 119 Calories per kilogram of body weight daily. Puppy Yorkshire terrier and lactating Yorkie mother needs around 194 Calories per kilogram of body weight. You can feed your puppy Yorkie 1 month after birth. As your Yorkie gets older it needs less calories. Fiber is a type of carbohydrate which is not easily digested by your Yorkie. Fiber is generally good for digestion and help maintain the health of your Yorkie. Too much fiber would cause your dog feel full easily while taking less calories. It is important to feed your Yorkie the right amount of fiber around 2.5 to 4.5 %. A healthy amount of fat around 5.5% in your Yorkie’s diet is important for metabolism. The presence of essential fatty acid in your Yorkie’s food will help your Yorkie to have a healthy skin and beautiful coat. Aside from being a source of energy fatty acids will also help your Yorkie absorbs vitamins. The deficiency of fatty acids with omega-3 is associated with neural problems in dog, another important kind of fatty acid are those with omega-6. Your adult Yorkie needs around 5-15% fat in their diet while puppies and lactating mothers need 8 to 20% fat. Fats improve the flavour of your dog’s food. Like you your Yorkie need vitamins. Vitamins needed in dogs include Vitamin A, Vitamin D, Vitamin E, Vitamin K, Vitamin B1, Riboflavin, Vitamin B6, Niacin, Pantothenic acid, Vitamin B12, Folic Acid, and Choline. These vitamins are essential for your Yorkie’s health. The right amount of these vitamins will help your dog to maintain its health. Deficiencies in these vitamins can cause health problems and if present in excess are toxic. Your Yorkie also need minerals. So that your Yorkie will have strong bones and teeth your Yorkie need calcium and phosphorus. For nerve impulse transmission, muscle contraction and cell signalling your Yorkie need sodium, magnesium and potassium. Selenium, copper and molybdenum are also essential in many processes in your Yorkie’s health. Vitamins and minerals are also important for your Yorkie to maintain its healthy coat and beautiful skin. There are several substances added to the dog food that are not essential but are added to benefit your Yorkie’s health. So that your Yorkie will have a healthy joint and cartilage chondroprotective agents are added to the dog food. Chondroprotective agents are important to your adult Yorkie and becomes more important as they grow older. To strengthen your Yorkie’s immune system antioxidants are added to your Yorkie’s food. Antioxidants prevent oxidative damage and remove free radicals in your Yorkie’s body. Your Adult Yorkie can be fed one or two times a day but if your dog needs more energy it can be fed up to three times a days. Your Yorkie may prefer a diet with high amount of protein. Water should be always available to your Yorkie. There are several forms of dog food. Dog food can be dry, semimoist or canned. Canned food contains the most moisture around 75%, semimoist contain 15 to 30 % moisture, while dry food contains around 6 to 10% moisture. Dry and semi-moist food usually contains more carbohydrates that canned food. Canned food contains more fat and proteins, and also contains more animal products. Yorkshire terriers and other small breeds are prone to be overfed. Overfed Yorkies will become overweight. Yorkies that are overweight are more prone to diseases. Different dog breeds have different needs. Small breed dog such as the Yorkshire terrier needs lower energy intake than large breed dog like a Labrador. Flavors are added to the dog food to make the dog food more palatable to your Yorkshire terrier. If your Yorkshire terrier like a certain flavour early in its life it will probably like that flavour until adulthood. To accentuate or replace the natural color of the dog food synthetics compounds are usually added to the dog food. A diet should not only satisfy one kind of nutrient but should be balanced and satisfies all your Yorkie’s needs. Formulated specially for your Yorkie this dog food promises to help your beloved Yorkie go the extra mile everyday. It is recommended for adult Yorkie 12 months of age. This dog food is designed to promote good dental health through the addition of minerals that maintains strong teeth. The design of the food will help your Yorkie to maintain strong teeth through the 3D DentaDefense technology which will reduce tartar build up by up to 80%.The calcium is not only for your Yorkie’s teeth but also help your pet to have strong bones. It also contains prebiotics to help your Yorkie to have good digestion because it contains prebiotics. The vitamin E and beta-carotene will help your dog to fight disease. For the maintenance of your dog’s healthy skin and radiant coat it contains essential fatty acid that has Omega-6 and 3. Through its animal-based protein your dog’s muscles will stay strong and lean. By weight this dog food is mainly made with dried chicken and turkey which is around 32%. Maize, wheat, rice, sorghum, barley and dried beet pulp provides the plant-based nutrients. The dried beet pulp is emphasize to be the source of fiber that will improve your Yorkie’s digestion. Another ingredient that will maintain the good digestive health of your Yorkie is the fructooligosaccharides. Fructooligosaccharide is a prebiotic that helps your Yorkie to have a better digestion. The dog food has also animal fat, dried whole egg, fish oil and hydrolysed animal proteins. Whole egg and fish oil is known to provide the needed essential fatty acid to maintain your Yorkie’s coat and skin. Minerals are provided through potassium chloride, sodium chloride, sodium hexametaphosphate and calcium carbonate. Another additive is linseed which not only is a source of fiber and also contains fatty acids with omega-3. The ingredients in this dog food will provide your Yorkie with the sufficient nutrients it need. With all these nutrients your Yorkie will surely be healthy. One concern about this dog food is that this dog food includes ingredients that are not freshly prepared such as the chicken by-product meal. Though chicken by-product meal seems to have more proteins than chicken meal it has lower digestibility. The presence of this ingredients may not bother most of those who have Yorkies. It also contains compounds that to your healthy Yorkie are not essential. 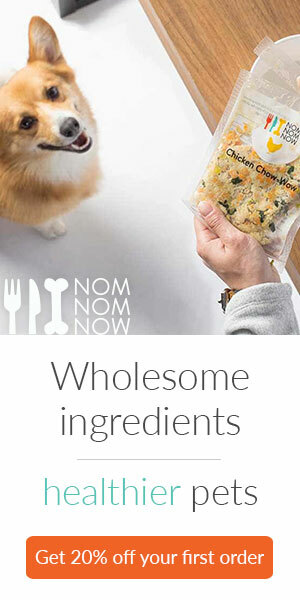 But these ingredients still helps your Yorkie to be healthy. This dog food is what your puppy Yorkie needs. Your Yorkie puppy has a different need than an adult Yorkie. Puppies need more nutrients since they are still growing. To help your puppy Yorkie to maintain its good health you may need a specialize diet for that age. Unlike adult Yorkies you may need to help your puppy Yorkie to learn how to eat dry food. This dog food is designed to encourage your puppy to chew, the kibble is designed for your puppy to grasp. To maintain a healthy skin and beautiful coat aside from containing fatty acids with Omega-3 and Omega-6 this dog food also contains biotin. Biotin is known to have a beneficial effect to dogs which have skin and coat problems. Your Yorkie may not need biotin if it has already a healthy skin and beautiful coat, this component is nice to have not an essential. Fats and fatty acid in the dog food is sourced from a lot of ingredients especially chicken fat, fish oil and vegetable oil. The dog food also contains plant ingredients such as brewers rice, corn, dried plain beet pulp, brown rice, wheat gluten, and grain distillers dried yeast. Dried plain beet pulp is a source of fiber to help in digestion. The prebiotic fructooligosaccharides in the dog food will help in maintaining a healthy digestive system. Prebiotics are important in keeping good bacteria in your Yorkie’s digestive system. The dog food has a good amount of essential vitamins and minerals. Antioxidants such as Vitamin E and C, leutine and taurine may help your dog to fight off diseases. It also contains additional herbal ingredients such as marigold extract and rosemary extract. These herbal extract may have beneficial effect to your Yorkie. If your Yorkie is healthy additional herbal extracts are not essential. Since most of this additional components are present only in small amount they may not have a very big impact to your dog. Overall this dog food will satisfy your puppy Yorkies essential needs. A concern for some about this dog food is that it has low quality ingredients such as Chicken by-product meal among others. There are also a lot of additives that are not essential for your puppy but this may not concern a lot of Yorkie owner. Specially tailored for adult Yorkie this dog food is recommended for Yorkshire terriers over 10 months of age. The kibble is designed so that your dog can easily pick it up. The fatty acid that has omega-3 and omega-6 will help your dog to maintain a healthy skin and beautiful coat with the help of biotin. When compared with EUKANUBA Breed Specific Adult Dry Dog Food for Yorkshire terrier and ROYAL CANIN BREED HEALTH NUTRITION Yorkshire Terrier Puppy dry dog food it has lower protein content. The protein content in this dog food is just sufficient for an adult dog. Powdered cellulose as a source of fiber is present in this dog food. Powdered cellulose is controversial because dog do not eat this ingredient in a natural setting. But studies found out that powdered cellulose can be beneficial to dogs with problems in metabolizing glucose. Dried plain beet pulp and powdered cellulose are the primary source of dietary fiber. Dietary fiber will help your Yorkie to have good digestion. Fructooligosaccharides helps in maintaining a balance good bacteria population in your dog’s digestive system. This dog food has the right amount of vitamins and minerals to help your dog maintain a good health. This dog food not only provides sufficient nutrients to your dog but is also designed to be very palatable. Flavors and extracts such as tea are present in this dog food that will Yorkie will surely appreciate. This dog food has also herbal extracts that may have a beneficial effect to your dog. As your dog gets older its joints and cartilages may degrade. To help your dog maintain a healthy joint and prevent the cartilages from degrading this dog food has chondroitin sulphate. Overall this dog food will satisfy your Yorkie’s needs. The presence of “unnatural” ingredients may concern some pet owners. It also have ingredients that may have beneficial effect to your Yorkie while it gets older. This dog food is not designed specifically for Yorkshire terriers but for small dog breeds in general. It doesn’t have chicken by-products meals. Majority of the ingredients are natural. Natural ingredients are more digestible and good for Yorkies with allergies. It contains fatty acids and biotin which will help your Yorkie maintain its healthy skin and beautiful coat. Flaxseed that are present in this dog food contains fatty acids that will help your Yorkie to have a healthy life.There are many source of dietary fiber in this dog food. Citrus pulp and pomace are sources of dietary fiber in this dog food. These ingredients enhance the metabolism of certain nutrients but their presence may decrease the overall digestibility of the dog food. Natural ingredients in the dog food has higher digestibility. Nutrients from this ingredients are more than enough to compensate for the slight reduction of digestibility because of dietary fibers. The vitamins and minerals are also sufficient in this dog food. Vitamin C and E can help your Yorkie to fight and combat diseases. This dog food also contains flavors such as Chicken Liver Flavor and Pork Liver Flavor. These flavors enhance the palatability of the dog food. Calcium will help your Yorkie to have strong bones. This dog food is recommended only for Yorkshire from 1 to 6 years of age. It doesn’t have additives that will support the joint health of older dogs. The good thing about this dog food is that it has high quality proteins found in chicken meal, it also have natural ingredients. If your Yorkie is under 8 lb you may feed him this dog food. This dog food is specifically designed for dogs with small bodies and have a sensitive digestive system. This dog food contains highly digestible protein from chicken meal. Highly digestible protein ensures that your Yorkie gets most of the protein in the dog food. Chicory root is also present, it helps in digestion because it contains dietary fiber. Chicory root also promotes the growth of beneficial bacteria in the dogs digestive system. Another source of dietary fiber is psyllium seed husk, this component can lessen cholesterol. Psyllium seed husk and chicory in dog food also improves your Yorkies satisfaction. Another ingredient that promotes the growth of good bacteria is fructooligosaccharides. There are several sources of nutrients for your Yorkie’s healthy skin and beautiful hair one is fish another is biotin. Fish oil contains fatty acids that maintain the health of your Yorkie’s skin and coat. The kibble is designed to prevent tartar build-up. This dog food contains the right amount vitamins and minerals to maintain its health. This dog food while not specifically designed for Yorkshire terrier contains essential nutrients that your Yorkie needs. There are several kinds of dog food available today. Not all dog food are made equal. In this article we discussed the essential nutrients that your Yorkie needs. All the recommended dog food will provide the essential nutrients to your Yorkie. In our opinion these are the best dog food for your Yorkie. In choosing what dog food you will buy it is important to buy something that is appropriate for your dog. While adult dogs can eat puppy food, adult food will not be sufficient for puppies. Your personal preferences will also help in determining what type of dog food will you feed your dog. You may prefer a dog food with high quality ingredients or you may prefer a dog food that has specific additives. The health condition of your dog will also determine what dog food you should buy. If your dog has allergies you may prefer a dog food with less allergen. If your dog has a sensitive stomach you may prefer a dog food specifically designed for dogs with sensitive stomach. We hope that this article helped you in choosing the best dog food for your Yorkie.